All aluminum extrusion is 80/20 2″ x 2″ series 10, purchased via the 80/20 store on Ebay. The uprights are 14 inches tall. Y axis is a THK KR33 linear actuator with double long blocks. X axis is a THK KR33 linear actuator with double long blocks. THK KR33 linear actuators are an industrial product that combines a linear motion rail system with a ballscrew and motor mount. 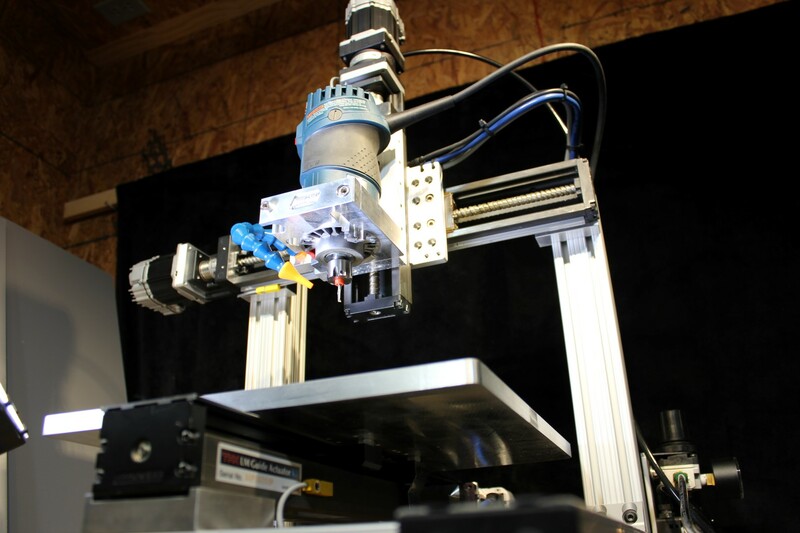 This creates a single axis linear motion system that provides smooth motion with high precision and a repeatability. Machine Travel is Y 9.5 inches, X 9.25 inches and Z 4 inches or more inches depending on the actuator used.